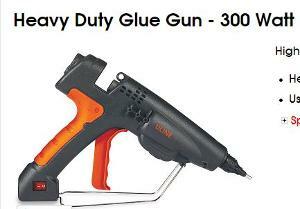 Prize: We're giving away a Heavy Duty Industrial Glue Gun! Retail Value of the glue gun is $119.00! Statistics: This contest was opened by 174 and entered by 26 ContestChest.com members. 15% of those who opened the contest, entered it.